Asset tracking refers to tracking the movement of physical assets, which also extends to monitoring stock movements within warehouses and deliveries. This is usually done by the scanning of barcode tags attached to the assets or by using real time location systems (RTLS) and RFID technology. It’s not just your fleet of vehicles that you may want to keep an eye on with tracking systems. Heavy plant and other similar assets are often left unattended overnight and there’s a real risk that they might be the target for thieves. Asset tracking systems can help to prevent these items from being stolen and assist in quickly locating the machinery and recovering it before any damage is done. Real time location systems, often referred to as RTLS, are geo-location systems designed to locate assets, inventory and vehicles. 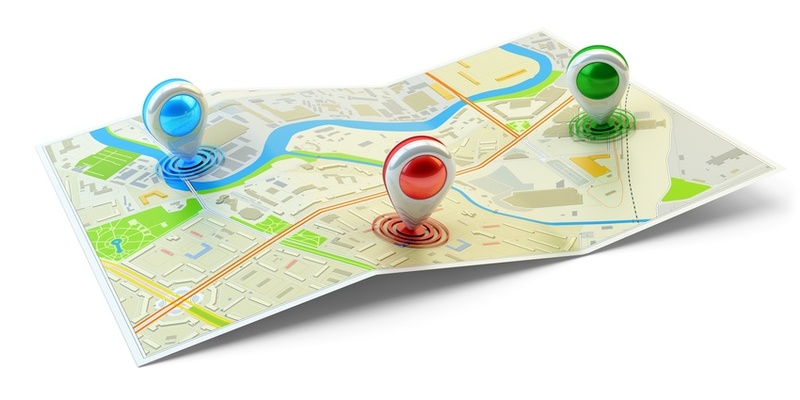 RTLS operate through local positioning systems (LPS) to provide accurate location tracking. Most RTLS systems function using radio frequency identification systems (RFID) as opposed to utilising GPS satellite tracking. As such, RTLS systems are used to provide location tracking within a specific geo-area. Essentially, RTLS systems work via RFID tags and receivers. Assets or vehicles equipped with RFID tags emit radio frequency signals which trigger RFID receivers. These RFID receivers then locate the assets or vehicles through triangulation whereby several receivers combine geo-codes to accurately locate the object in question. Although many different types of tracking devices rely on GPS/GPRS technology, Radio Frequency Identification (RFID) tracking is more commonly used for assets and heavy plant machinery/vehicles. RFID chips use wireless technology in order to generate signals and pass data through its system. 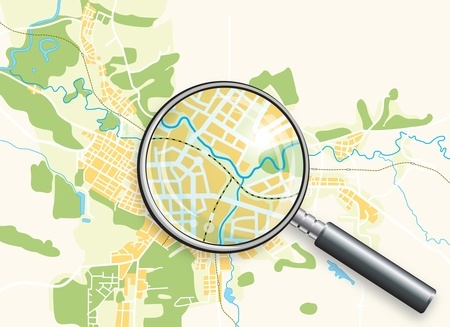 This is in particular a precise way of identifying a location, but unfortunately they are only useful over a very short distance, but as assets typically won’t be moving far they provide a great option for asset tracking. These types of RFID trackers use radio frequencies, in order to both send and receive signals from special 'tags'. Specialized scanners are required to transmit to and receive from the tags but once installed they are remarkably effective. There are primarily two different systems used by RFID tracking; active tracking and passive tracking. Active tags offer a far greater level of security, and are constantly sending out signals. Passive tags aren’t able to do this and instead require an external source. RFID tags don’t have the same coverage as a GPS system, which could be used over hundreds of miles and have a global coverage. However, if used correctly, they can be remarkably precise. For this reason, RFID chips are typically chosen as the technology of choice for asset tracking, offering enough coverage coupled with remarkable sensitivity. In many cases the slightest movement unexpectedly could be a sign that a break-in is occurring and so it’s essential that there’s a pin-point accurate movement sensor on board. This can make any slight tilting or lifting trigger an alarm so you’ll get notified even if someone tries to break in during the night. Geofencing is another common tool used with RFID tracking systems and in contrast with general vehicle use; you can opt to pull in the parameters very tight. Geofencing refers to the practice of having an invisible barrier around an area; a cordon which if crossed will trigger an alarm. For example, this shield can be set to trigger an alarm if a vehicle or asset leaves it, enters it, never arrives or not at all. The distance that the Geofence is set up for is entirely customisable, in order to allow for more flexibility in movement path if required. It’s also possible to pull in the parameters much more tightly. You wouldn’t expect the heavy plant to be moved without authority, so any signs that it’s crossing your invisible barrier are likely to be cause for concern. Not only does RFID track the location and path of a vehicle or asset, but the technology can also provide data about the ambient temperature measuring from -30 degrees C to 60 degrees C. This can provide valuable clues about the location of the asset if it is stolen or removed without authorisation from its location. Addtionally, in a yard with multiple trailers, a RFID tracking system can identify one trailer from another, ensuring you leave with the right one. Many different types of companies in different industries ranging from logistics management to delivery services use RFID tracking systems. However, one of the most common industry to utilise this type of local tracking tech is mining. Many mining companies utilise both RFID and GPS tracking to ensure for a comprehensive tracking system. The key benefit of this employing both tracking technologies is so that companies have extremely accurate tracking capabilities whilst also providing a back-up solution. For example, in areas that GPS signals are weak companies are able to utilise RFID tags to locate their mining vehicles and in times where the RFID technology is not working they can use GPS satellite tracking. A wholly holistic RTLS that incorporates both GPS and RFID tracking technology is the preferred option among many companies that operate in rural areas due to the more accurate location tracking. How accurate are RFID and RTLS? Highly accurate RFID and RTLS can locate vehicles or assets within 10 feet their location. Combined with GPS tracking, these tracking technologies can be used to cross-reference geo-locations and therefore provide extremely accurate location positioning. Do I need RFID or GPS tracking, or both? We recommend that for companies operating within urban and suburban areas you are best employing a GPS tracking system as GPS signals are more than likely to be strong enough to ensure for reliable and accurate location tracking. For companies that operate in rural areas, especially those that operate within specific geofences, or need to track the movement of assets within warehouses or shipping activities, RFID location tracking systems are the preferred option. If you want a highly accurate and reliable location tracking system and want to avoid signal loss and tracking blanks by ensuring that your assets or vehicles are constantly being tracked then a combined approach is the best solution. Companies with a combined approach will reap many of the improved efficiency and productivity benefits provided by RFID and GPS tracking and as a result, save more money by streamlining business operations. How much does RFID tracking cost? Typically, these type of tracking systems can cost from £9.99 per month per vehicle. It must be considered that tracking systems, more than often, require a monthly subscription and an initial outlay to pay for the tracking device/s and the software itself. However, the cost saving opportunities that these tracking systems offer far outweigh the initial and on-going costs. The cost of an RFID, RTLS, GPS or asset tracking system can be considered to be a valuable investment with an excellent ROI. It’s worth making note of the potential savings that can be achieved using a tracking system. Those tracking devices that include telematic functionality will provide a range of data which helps to identify areas where cost savings can be made. For example, fleet managers will be able to compare the different driving behaviours and identify those who operate the machinery in the most frugal manner. Subsequently issues such as leaving engines or machines idling when not in use can be avoided and save costs as well as helping to minimize wear and tear and unnecessary vehicle failure costs. Additionally, in depth information of how the efficient the vehicles are can be gathered and turned into actionable data to reduce costs such as fuel. The potential expenditure if your assets were stolen shouldn’t be underestimated either. Unfortunately, losing a large vehicle, such as a container or HGV, to theft can be very costly. Consequently, securing your asset against theft with a tracking system can be considered to be relatively cheap, especially with all the other cost saving benefits. To find the best solution for your business simple fill out the form at the top of the page. By letting us know your requirements Approved Index will be able to provide you with free tailor-made, no obligation, quotes from up to 4 leading tracking system providers.